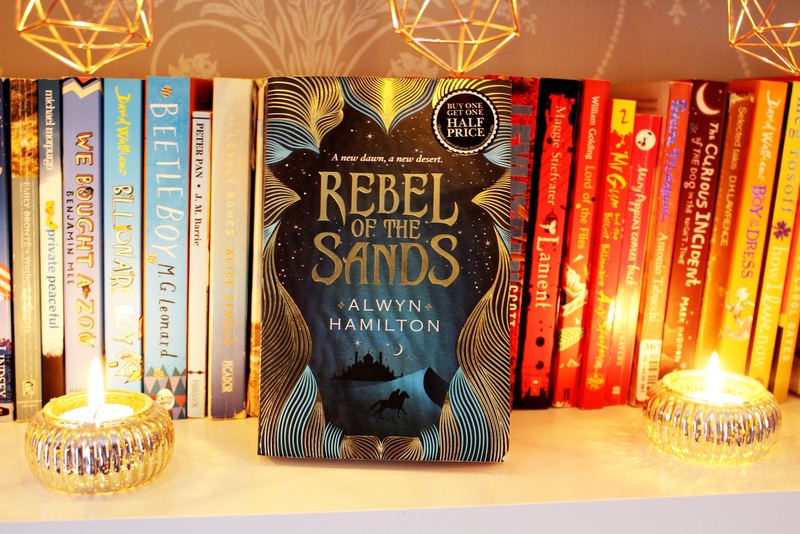 Rebel of the Sands by Alwyn Hamilton is the latest book I have read and to be honest I don’t know why I didn’t finish it earlier! I started this back when I was on holiday in June, since that time I put it down to read a few others and forgot all about it. When I ran out of books to read, I remembered that I had this tucked away and half read. I actually finished it overnight as I was completely hooked on the story. I love that it was not only set in a different time, but also in a different culture. One very different to the one I live in today. The story centres around Amani, a poor, orphaned female who’s trapped with her Aunt and Uncle. She is bound to become her Uncle’s next wife if she does not get out, and fast. However, the life of a woman is not as respected as that of a man’s. Therefore, she must go to drastic measures in order to escape. Along the way she meets a foreigner, Jin, and together they escape all kinds of danger. It screams Arabian Nights, but with the influence of magic it’s truly enchanting. I loved the different stories and myths throughout the book, it kept it engaging all the way through. Particularly the Buraqi, an ancient horse like creature made of wind and sand, that could be controlled through iron being attached to their hooves. There are many other mythical beings throughout the book, many of whom can be captured by Sultan’s armies for possessing such magic. For example, the Djinn who are said to be the true rulers of the desert. The most extremely exciting part of the books for me was the journey Amani had to take, not only physicaly but also in the connection of herself and Jin. At the start of the book she trusts no one and it’s exciting to see that development between the two. Towards the begining he sees her as boy. She ventures into a gun fight with the aim to get more money in order to escape her current life. At the end of the book he sees her as the brave woman she is. Overtime Amani has to decide whether to fight the rising Sultan or instead join the resistance. I cannot wait for the next book to discover more of her story.